This entry was posted on February 10, 2013 by danbracewell. It was filed under Writing Diary and was tagged with Aspiring Writer, Cliches. I run into this a lot when I look at my story in a big picture sense. When you boil a story down to its essence, it does often seem that all stories have similar themes. But I think when the writer actually begins to spin the words, the story becomes unique. It is said that if you give a room full of writers the same plot or prompt, each one will write a completely different story. I wouldn’t worry about cliches just yet. Your characters, once they take charge, won’t let that happen! Yeah, you are right. I had told my friend only a portion of the plot and I guess out of context it might have sounded cliche. Good advice– let the characters take over! Thanks for swinging by, Kirsten, I really appreciate it. I’ve found that the more of yourself you insert into the story, the more authentic it becomes and the less it drifts away from the casual cliches. 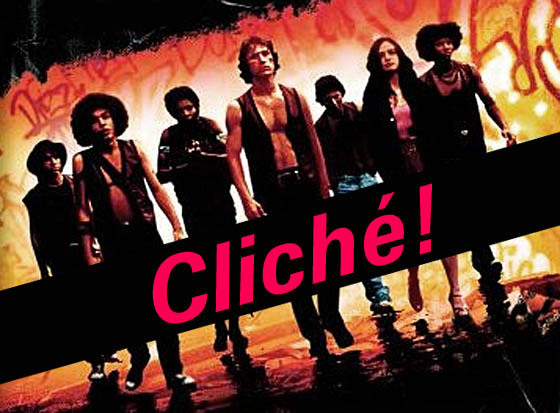 Cliches are usually the result of a generalized experience. Finding a way to relate to your story, even if the exact experience is not your own, deepens the story in a way that most other tips or tricks can’t. That’s actually good advice. In that case, I should be doing ok. I’m going to remember this as a great rule of thumb. Thanks, jumbled. I’ve been rubbish at commenting on blogs recently: but this does resonate with me because I do have a recognised cliché relationship between the doctor and his nurse in my novel. I think those above are right – you can take a clichéd concept and turn it on it’s head by the way you interpret and interact with it. If you think about a lot of romantic stories it all boils down to the essential cliché of boy meets girl, boy loses girl, boy wins girl back: but it all depends on how engaging your characters are and how they deal with those things that make the story a good read. Heh. you hit it spot on. I was wondering, how do you do a romance without the whole– boy meets girl, boy loses girl, boy finds girl again cliche? Yeah, its the characters. Thanks for swinging by, Cat!